Savosolar’s collectors, use profiles which are used in heat exchangers in the automotive industry. In standard absorbers, the heat travels a long way until reaching the heat transfer fluid. The heat conduction occurs within a very narrow welding seam, creating an unequal heat distribution and higher heat losses. 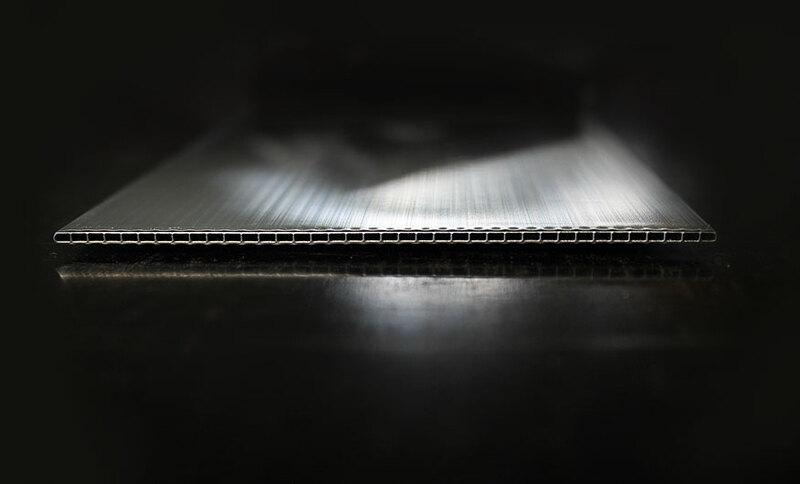 In our absorbers, the heat losses are minimized since the distance from the coated surface to the heat transfer fluid is significantly reduced. For this innovative absorber development, we won the prestigeous Intersolar Award 2011. 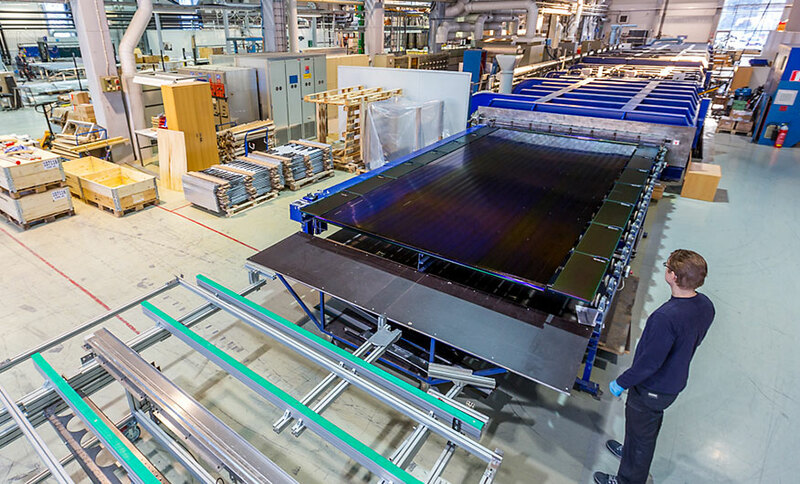 Savosolar’s coating process is a self-developed and patented coating. It takes place in a vacuum chamber and covers the absorbers with three ceramic nano-layers of superior thermo-mechanical and optical properties. Our coating process means that we are the only company in the world which is able to build and coat large absorbers with a highly selective coating in one single piece. The combination of the three layers ensure that the coating remains stable at high temperatures and still provides superior performance over wide angles. 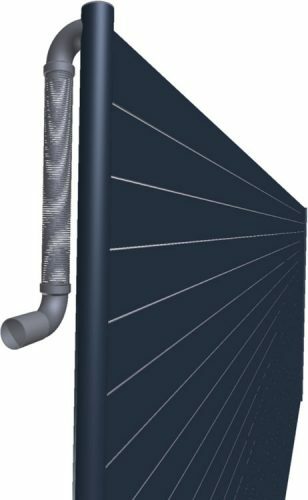 Savosolar’s collectors have integrated connection hoses which are protected inside the collector insulation while providing full freedom of thermal movement in the connection joints. This means that as little energy as possible is lost in the collector connections and that the collectors can be mounted with as little as 40 mm distance. Since the connections are an integral part of the collectors and cannot be removed, our efficiency values include thermal losses from the connections. Flemming Jorgensen S.A. de C.V.